We got talking, and you know what's funny? He told me he was born in Vancouver, BC, but lived in Seattle. Well, I was born in Port Angeles, WA, and I live in Vancouver, BC! Now this next sketch is a pressie from D-Guy. 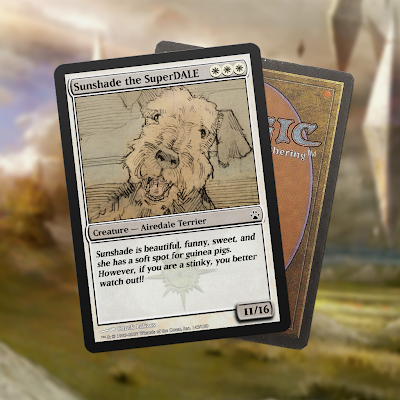 He got an artist who did Magic card sketches to do a sketch of the SuperDALE in the Magic card style!! 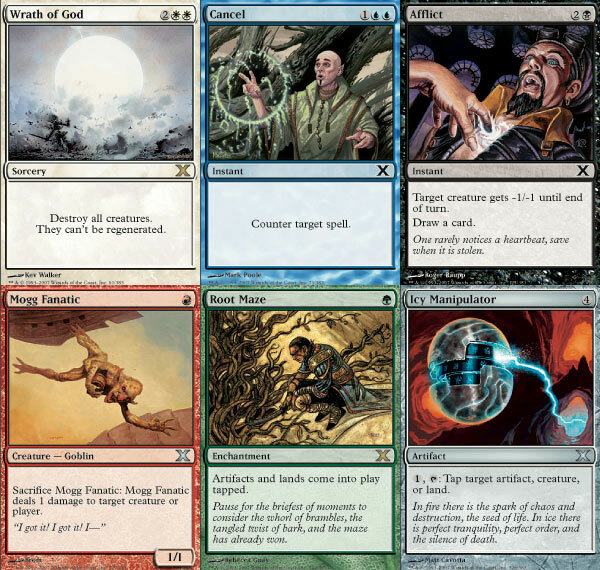 This is the most powerful Magic card you can get!!! That magic card and the sketches are just beautiful, Sunshade! 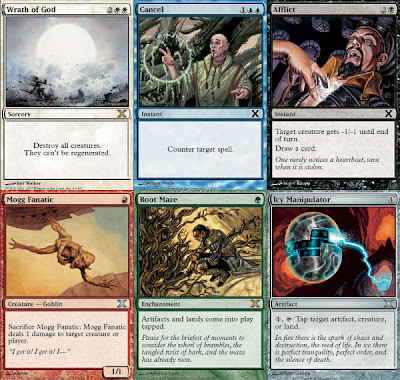 LOVE the magic card!! you better frame that... and a Gordon Setter! amazing-i love those. but no one is as good as the SuperDALE!